A campaign to reopen the derelict Burnley Empire Theatre has taken a major step forward, after the building was sold to a group which has been trying to save it. The troubled building was put up for auction  earlier this month by its owners the Duchy of Lancaster, with a starting price of £1. Now the building has been purchased for £1 by Burnley Empire Limited, which is a company formed by campaign group Burnley Empire Theatre Trust. The deal was originally offered to the group by the Duchy of Lancaster in 2015, but the organisation was not able to take on a project of that scale. However the group has now been able to take up the offer due to support from the Theatres Trust, the National Trust, theatre consultancy Theatresearch and a donation from an anonymous philanthropist. Burnley Empire Limited also has the backing of Burnley Borough Council and has received support of offers in-kind from local businesses. Burnley Empire Limited director Sophie Gibson said: “We are excited to finally own the building that we all care about so much. The next steps will be to carry out an assessment of the theatre’s condition and fundraise for immediate repair works and the longer restoration project. 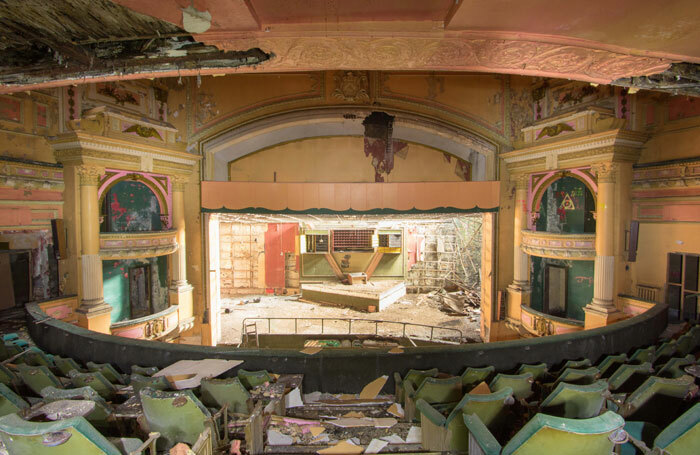 According to the Theatres Trust, the restoration project will focus on making the building wind and water-tight and work towards a longer-term goal to restore and reopen the building for the benefit of the local community. Architecture adviser at Theatres Trust, Claire Appleby, said: “As Burnley’s only surviving music hall and grade II-listed theatre, Burnley Empire is a magnificent building with a high level of architectural interest and a fascinating history. Burnley Empire Theatre, which is ranked 14th on the Theatres Trust Theatres at Risk Register , has been disused for 20 years. The 1,200 seat venue was built in 1894 and used as a theatre until 1938, when it became a cinema, and later a bingo hall. The theatre has been empty since 1995, when bingo moved out.